Before you learn how to start a blog, you must decide if you are going to host your blog yourself or if you’re going to use one of the free blogging platforms available online. Let’s look at the pros and cons of each to help you make a more informed decision. With a self-hosted blog, you can use a content management system (CMS) like WordPress to publish your blog online with little technical expertise or ability. You get to choose the domain name and you get complete control over the content. The downside to a self-hosted blog is that you must pay for the domain and the hosting service. You must understand how websites work and this requires a tad bit of technical know-how. With blogging platforms like Blogger or WordPress.com, you can also choose your domain name if you want, but otherwise you are given a platform address. You don’t have to know a lick of code, as these platforms are incredibly user-friendly. You simply point and click, drag and drop and your content will be published to the Internet. This is by far the easiest way to learn how to start a blog. Keep in mind that with a self-hosted blog, you retain control of everything. With a blogging platform, even if you learn how to start a blog properly, you still have to adhere to a third-party’s terms and conditions. It is far better to control your blog’s content, but sometimes the free blogging platforms are a good decision if you are just starting out. Once you have chosen your blogging medium, the next step in how to start a blog is to conduct plenty of research. Most of your time maintaining a blog is going to be time spent conducting valuable research. If you hope for your blog to be indexed prominently in the search engine results pages, you’ll need to know what keywords to use. This is going to require extensive keyword research. Place your keywords in your blog titles, use them once in the first and final paragraphs and then sprinkle them throughout for a good keyword density. Keep in mind that learning how to optimize your blog for the search engines is a big part of learning how to start a blog. Next, you will need to conduct market research. What subjects are your potential readers interested in? To find this out, you should hit up the social networks and popular forums in your niche. If you decide that you’re writing about home improvement, for example, you should look at popular forums to try and find questions other forum users are asking. What are some hot topics? What are some controversial topics? These will make great blog subjects. Use the search function on social media platforms and on popular forums in your niche and you should be able to come away with at least five to ten good blog topics. You’re not ready to start writing yet, however. Your next step is to research the competition. This is a big part of learning how to start a blog. If you want to know what your audience responds to, it’s always a good idea to hit up other popular blogs in your niche. These are your direct competitors. Pay attention to the most popular blogs and read some of the comments. Reading competing blogs can help you improve on what’s working so that your blog becomes the go-to for readers. That’s the plan anyway. Now, you only have to write your blog and keep up with it in order to build a loyal readership. When readers become hooked on a blog, they expect regular content. Many popular bloggers publish new entries monthly, weekly or bi-weekly. Whatever schedule you come up with, make sure you stick to that. Even if you don’t have any readers now, keep to a solid schedule so that the readers you gain along the way will know what to expect. Don’t just write for the sake of writing. Give your readers something to think about. If you are covering a popular subject, give your unique take on it. Readers want to know what you think, they want to get a glimpse into your personality and, most of all, they want to come away with something. 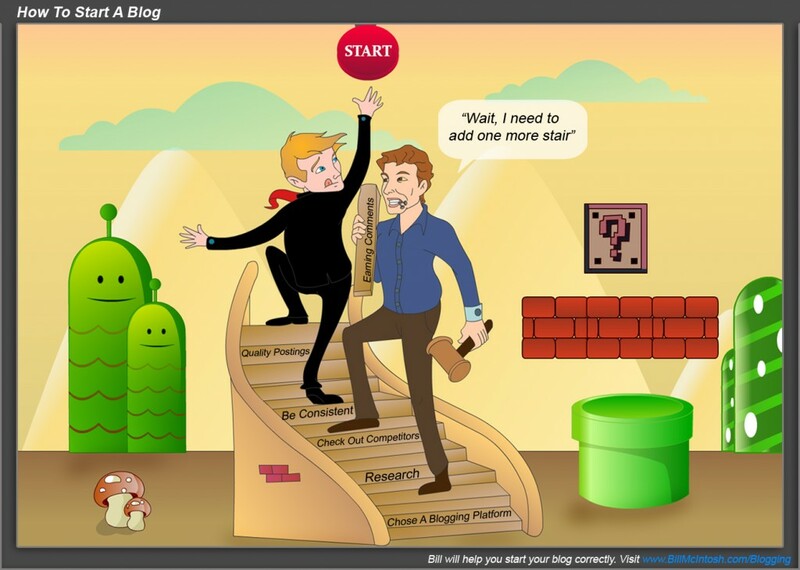 Even if they just come away feeling entertained, you will have done your job as a blogger. Remember that search engines are always looking for quality content to deliver to search engine users. The more quality you put into your blog postings, the higher each post will rank and the more readers you’ll earn. Popular blogs have lots of readers, but they also enjoy lots of comments. This is the primary goal of each post you publish – to earn more comments. The more comments your posts have, the more popular they will appear to new readers and the more comments you’ll earn on top of those. Comments on blogs have almost a bandwagon affect on readers. The more there are, the more it causes them to want to leave their own. For this reason, do what you can to entice more comments. At the end of your blogs, ask a question, give your readers a final thought and ask them straight out, “What do you think about all of this?” If your blogs are good and they’ve hit their mark, your readers will jump at the chance to make their opinions known. Remember that learning how to start a blog is one thing. You need to make a decision right now that you will keep up with your blog once you start it. You may have times when your blog has very limited readers and yet you still must press on. Keep at it, be consistent, deliver high-quality blogs to your readers and you will succeed as a blogger. That’s all it takes to learn how to start a blog. The next step lies with you. This entry was posted in Blogging and tagged blog, blog platform, Blogging, blogging platform, how to start a blog, keyword research, learn how to start a blog, starting a blog by Bill. Bookmark the permalink.